BEING A SPY, Alok Joshi is a man of few words. 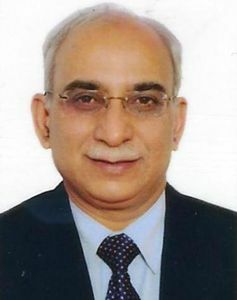 Retired on September 18 as the chief of National Technical Research Organisation (NTRO), Joshi is a 1976-batch IPS officer who held the post of R&AW chief, too, from 2012 to 2014. It was under Joshi’s charge that the National Critical Information Infrastructure Protection Centre (NCIIPC) of NTRO took off in a major way in 2015, to deal with cyber security threats. What are some of the challenges faced by intelligence agencies today? In our immediate neighbourhood, China is using technical intelligence to gather strategic information for promoting its own strategic interests. Pakistan, on the other hand, is looking to gather tactical information. They are always scouting for information about field formations, troop movements and so on, because they are engaging us on the ground. Pakistani agencies are employing different ways and means to glean this information from us. To counter these threats, there needs to be greater synergy among various organisations, which can be best accomplished by having officers embedded in operational teams of different agencies. For example, Intelligence Bureau officers in R&AW and vice versa, as per requirements of a situation. This would also keep expectations from each other at a realistic level. China is using technical intelligence to gather strategic information for promoting its own strategic interests. Pakistan, on the other hand, is looking to gather tactical information.... To counter these threats, there needs to be greater synergy among various organisations. Another area we definitely need to work upon are cyber security issues. Today we have the national cyber security coordinator who is helping in bringing greater coordination at the agency level, but still there is a lot of room for developing greater synergy. You have served as R&AW chief before heading the NTRO. How well are these agencies equipped to tackle threats from social media? Operationally, we have become much more savvy. Also, because we are facing immediate threats from terror organisations like Islamic State—which is exploiting the cyber space to recruit vulnerable youth—we have also made ourselves technologically savvy to counter this. There are also processes within the security organisations to study the cyber behaviour of their personnel on social media. There are desks or cells within the intelligence agencies which keep a close tab on such activities. R&AW comes into play when any person within the government is in touch with persons outside the country. What are the latest technological interventions that have been made by the NTRO? The NTRO has set up a Centre for Artificial Intelligence to focus on developing AI-based solutions to detect anomalies in the behaviour of not only networks with reference to critical information infrastructure, but also of those using cyberspace for communication in sensitive sectors. Recently, there was a criticism about the NTRO making expensive purchases of equipment that were not really required. Your comments. Whenever someone tries to bring about certain changes to improve the system, there is resistance from some quarters. These are baseless allegations made by [those with] vested interests. There is a debate whether social media should be used by those in security forces. Most government officers and armed forces personnel do not go on social media using their own identities. So, it should be made mandatory that any new ID created by them on social media must be shared with the organisation concerned. This restriction must be accepted by government servants, because their job is sensitive. While visiting social media sites, especially dating sites, you have to be very sure since the webpages may resemble [the original site] but direct you somewhere else once you register. During your stint as R&AW chief, what kind of espionage attempts came to light? The cases that came to light those days were mostly phishing attempts on serving officers. As and when such cases came up, they were duly communicated to the agencies concerned. It was found that false IDs were created and the targets were largely contacted through Facebook. Upon investigation, it was found that the IP addresses were either from Pakistan or some proxy servers located in other countries. How does the adversary choose his target on social media? Intelligence agencies like the ISI are employing psychologists who scan social media and segment people of particular interests. A quick social profiling on the internet would give a fair idea of interests [of a target]. This is how they start engaging with a person. Anonymity and obfuscation of identities give them an edge. The vulnerability to be targeted, if you are part of the security establishment, is much higher. What has been the success of the NCIIPC so far in tackling cyber security threats? There was an urgent need to develop capabilities to protect critical sectors like power and energy, railways, telecom, transport, banking and finance from cyber threats. In the last three years, the NCIIPC has evolved from a handful of persons to having adequate bench strength. The existing bench strength is more reasonable though it needs quick ramp-up, looking at its mandate. The organisation is engaging with private as well as public sector companies, strategic and public enterprises on cyber security. It is liaising with the chief information security officers of these companies by training them, conducting mock drills and undertaking regular cyber-security audits. It is also drawing the necessary skillset to handle real-time threats. The NCIIPC also runs voluntary disclosure programmes for reporting any vulnerability in the critical sectors. What would be your suggestion to strengthen R&AW, which has completed 50 years? We need to revisit our recruitment rules to be able to engage with the young talent which does not have formal qualifications, but is willing to work with us. There is a need to tap this talent which exists, and create some kind of a certification process—with respect to technical fields like cybersecurity, cryptography, linguistic skills, imagery interpretation and geo-intelligence—for those who are hired on contract basis, so that it can help them later as proof of the work he or she has done in the organisation. This will help attract talent in the force. Other countries have found myriad ways of employing youngsters; it is time we also looked into it.